Staring out the window from a bus or a train while I’m taking a road trip and viewing the unknown scenes is one of those moments where I cannot be disturbed. I’d never know what phenomenal scene I could be missing. Passing by the mountains in various hues created by the sunlight situated in the ocean and architecture in an assortment of forms resting on the land were images that I captured in my mind that will not be forgotten. 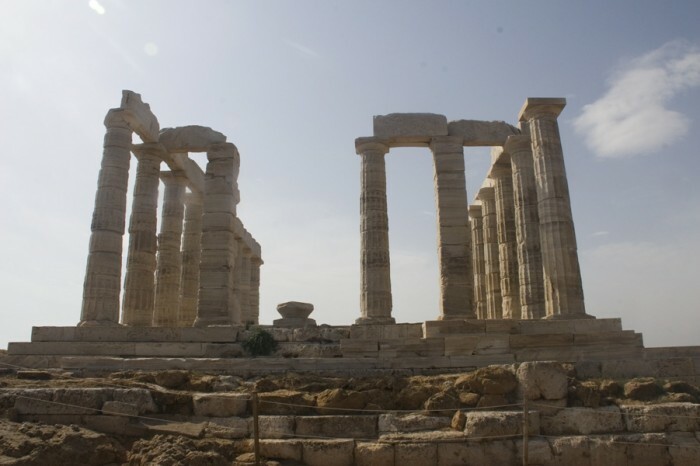 While the ride to Sounio was a worthwhile trip, Sounio itself was a huge disappointment. I expected to find a village with various shops and restaurants, and of course an ancient Greek site. 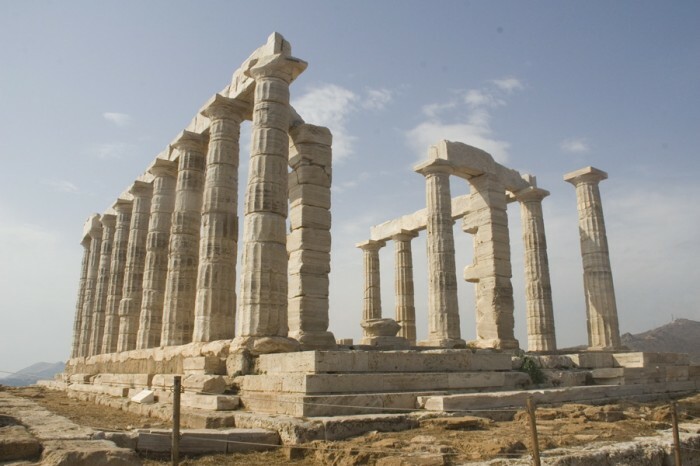 When I arrived there, there was only one restaurant that was overrated, which is expected as there is no competition, and if tourists are hungry or want to have an eating moment at Sounio, they are forced to eat there! There was also one shop with a collection of garbage. Viewing the artifact was still interesting as I was able to see a three-dimensional view of the architecture by having the ability to walk around to view the artifact at all angles, something that we cannot see in books. Reaching to the destination was disappointing; however the road trip was not regrettable as I was treated to a magnificent view that will always be remembered.